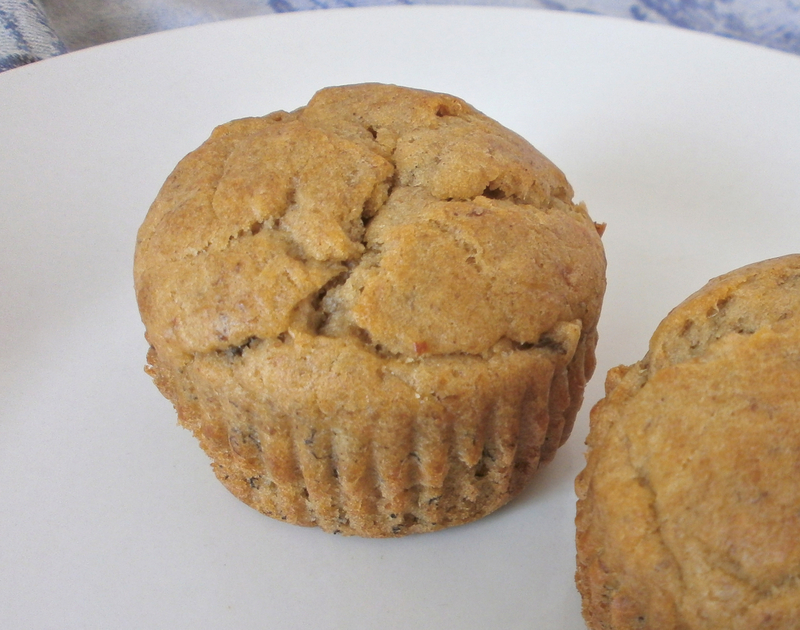 Be warned–these muffins disappear at an alarming pace. By trying to expand rather than restrict my options while going dairy-free, I developed this new version of banana bread that my kids and I enjoy more than any other. So delightful is the flavor of these muffins, I don’t think I’ll ever look back. Combine milks and vinegar in a large non-metallic bowl. Let stand for 5 minutes. To the milk and vinegar mixture add vanila and eggs, whisking to blend. Meanwhile, blend together margarine (or equivalent) and sugar in a separate mixing bowl and then transfer the mixture to the bowl with the milk and eggs. Blend well; add mashed bananas and mix until fairly smooth. Combine remaining dry ingredients in a separate bowl and then add to batter. Stir gently until no dry clumps of flour remain. 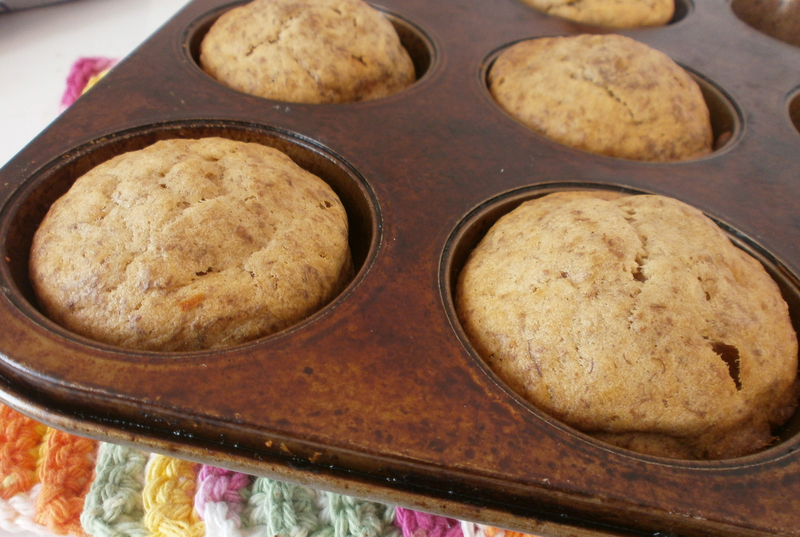 Fill muffin cups or a greased muffin tin with batter, about 2/3 full. Bake at 350 F (180 C) for aprroximately 20 minutes, until muffins are light golden and fragrant. Note: If you prefer your muffins to be very sweet, increase the amount of sugar or add a bit of stevia. * To make this dairy free, you can opt to use clarified butter or ghee. Those look really beautiful ! With stevia, a little bit goes a long way. It’s amazing stuff.